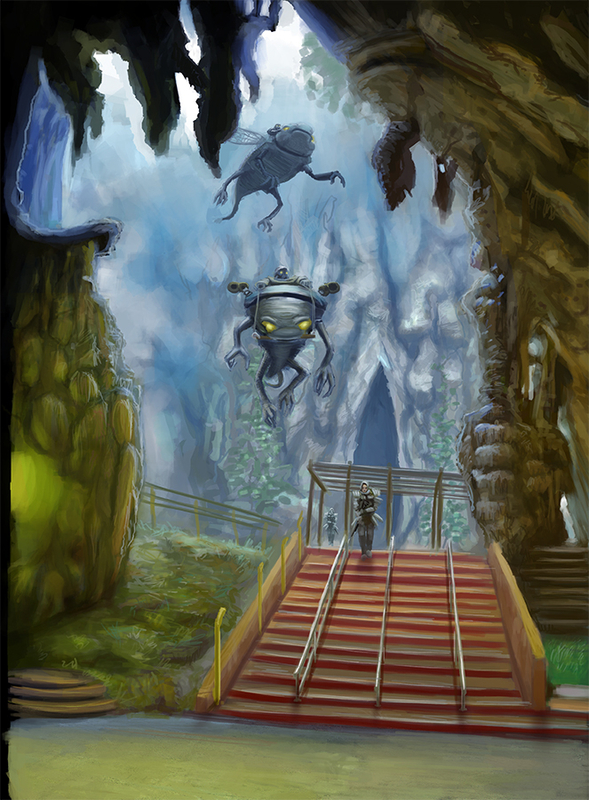 The idea was to make a mountainious cave environment where a large force has stationed it's base. Because of the environment they use big "Grendels". These are scarab type creatures who are being used for transport for 1 to 3 persons.